If you use a USB stick in public places or on shared workstations, it is a good idea to protect your privacy. For this purpose, you can hide the files on the stick from prying eyes. To do this, you need to encrypt your USB stick. In this way, other people won’t be able to see what files and folders you stored on the device. On the other hand, you’ll be able to access the respective files by entering a security password. To protect the data stored on a USB stick, you can use programs that hide all the files in a single secret file. The secret file can only be unlocked with that specific program. Here are 5 programs that you can use to hide the files stored on your pen drive. What are the best USB privacy tools for 2019? Folder Lock offers speed and simplicity by encrypting files on the fly. It does that simply by copying files into digital “lockers” protected by 256-bit AES encryption. Lockers can then be backed up online, password protected, or stored in portable devices. You can upload files to third-party cloud services like Dropbox or host them on the Folder Lock cloud server for an additional fee. There is also a function that permanently deletes files from the user’s hard disk. Folder Lock is available for mobile devices and desktop computers. There is a free version available while the full version costs $39.95. Folder Lock can backup your files in real time, it protects portable units, destroys files and drives and cleans your file history. Folder Lock is one of the most popular file-security applications with more than 25 million users. It works on 32-bit and 64-bit versions of Windows 10, 8, 7, Vista, XP. 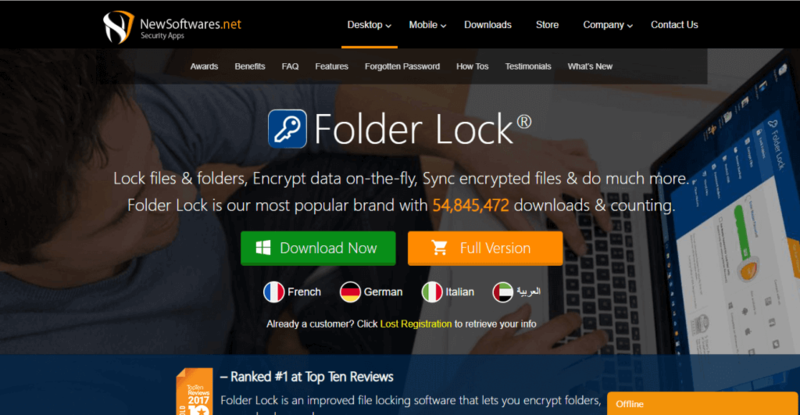 Lock files and folders – Hide private images, documents and videos with just one click. Encrypt files – Encrypt sensitive files and folders in on-the-fly lockers. Lockers are portable. Backup lockers – Backup and synchronize securely encrypted files lockers to ensure cloud. Portable lockers – Create portable self-executable cabinets in USB drives, CD / DVDs, emails. Make Wallets – Make digital wallets to securely save real life cards such as credit cards and SSNs. Shred file – Permanently delete files on your computer so they are unrecoverable. Click on the ‘Folders Lock’ button located at the top left in Folder Lock. Click on the ‘Add Items to Lock‘ button which displays a drop-down menu. From this menu, you have the option to add files, folders or units. Using this Folder Lock option, you can hide images, hide videos, hide PDF documents, hide spreadsheets, hide Word files and hide many other file formats. Customize your locker, choosing the type and size. Hence, all you have to do is drag and drop files to encrypt them. 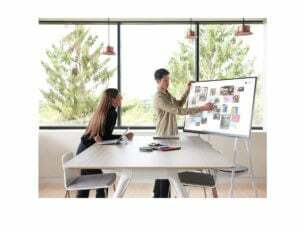 This option will allow you to block and encrypt images, videos, documents, folders, spreadsheets, Office files and any other file format that you want to encrypt. Encryption will provide you with unbreakable security that uses AES-256 bit encryption to keep files safe. On the other hand, file locking provides quick and effective locking. This allows you to protect the most frequently accessed files on your USB pen drive. 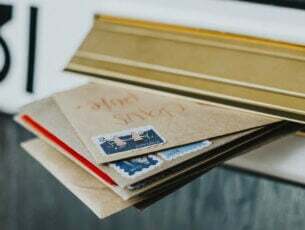 Whatever the option you choose for files, both of these options allow you to password protect your files, folders, images, videos, documents, Word files, Excel files and virtually any type of file that you can protect with a password. 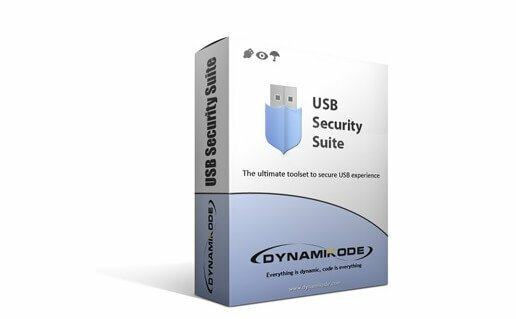 Dynamikode USB Security Suite is the best choice for monitoring USB drive activities. 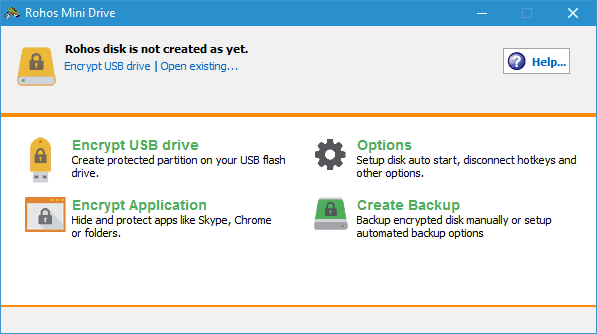 When you connect a USB drive to your computer, the automatic removal device automatically scans and prevents the spread of autorun viruses. In other words, it’s just like an offline antivirus that automatically detects and removes auto-run viruses. Dynamikode USB Security Suite checks the activities running on the USB drive at all times. It basically continues to keep an eye on what people and other programs do on your computer. How does it do that? With the activity recorder as disconnection, copying, deleting, renaming with date and time. This is a useful and easy-to-use tool to protect your computer from threats via USB. It does not slow down your computer. Here are the system requirements for the free download of Dynamikode USB Security Suite. It supports 32-bit and 64-bit editions. It is compatible with Windows XP, Windows Vista, 7, 8.1. 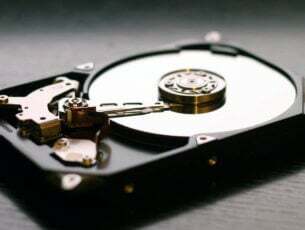 About the hard disk, you need available disk space 100. You need a Ram 512MB ram or higher. You should have a processor 1 GHz or higher. To protect the data of a USB stick or a pen drive, you can use the free VeraCrypt program. It can hide the stick’s contents in a single secret file, which can only be unlocked with the program. The software combines different standards and encryption algorithms together. The security tool allows maximum protection of 2 GB of data. 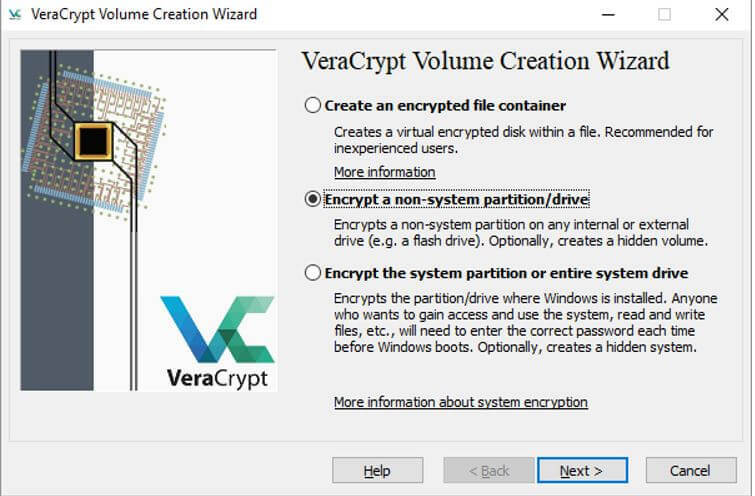 VeraCrypt also gives you the possibility to encrypt the entire hard disk or USB stick. You can download the program to an external storage device. This software requires administrator rights to work. This means that you cannot use VeraCrypt to open encrypted files on other computers. RELATED: What file encryption software should I use on Windows 10? 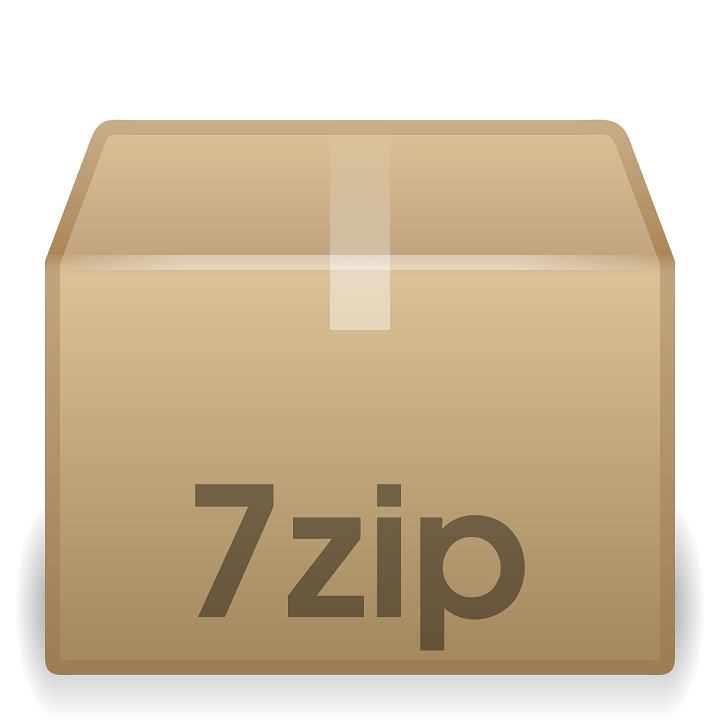 An alternative and very simple solution to protect the data saved on your USB drive is to use 7-Zip. This is one of the most popular file compression programs compatible with Windows 10. To use this software, simply select the file in the external storage unit, press the right mouse button or touchpad and then click, among the various items, on “Add to archive“. Rohos Mini is one of the most popular USB encryption programs and does not require any special authorization. The software, which can encrypt up to 2 GB of data, uses the 256-bit AES (Advanced Encryption Standard) encryption system. It creates a password-protected virtual disk. An element not to be overlooked of Rohos Mini Drive is accessibility. In fact, you can open the security tool from any computer. To use it, simply download the tool on the USB stick. USB privacy software solutions offer a convenient and reliable method of securing USB flash drives against unauthorized access. As discussed above, there are plenty of such tools on the market. Take them all for a spin and mention your favorite(s) in the comments below.